Recreating the mirror lines of the Taj Mahal using coordinates to investigate reflective symmetry. The Taj Mahal is one of the most spectacular sights in the world. Sculpted from pristine white marble and taking over 20 years to build in the 17th century. It was designed using a mathematical principle that makes images appealing to the eye – mirror lines. A mirror line is the central line across which an image is reflected. Some objects have multiple mirror lines. Whilst this butterfly has only one mirror line, this flower has three, and this decorative tiling has 10 mirror lines. To reflect a shape, measure the distance from points on the shape, perpendicular to the mirror line. Repeat this distance on the other side of the line, placing new dots, which are then joined up. As shapes are created in a new position, the axis data changes. If the mirror line is the Y-axis, the XY coordinates for the turret on the right would change to negative X, with Y remaining the same. If there was a second mirror line on the X-axis, the XY coordinates would change to X and negative Y. 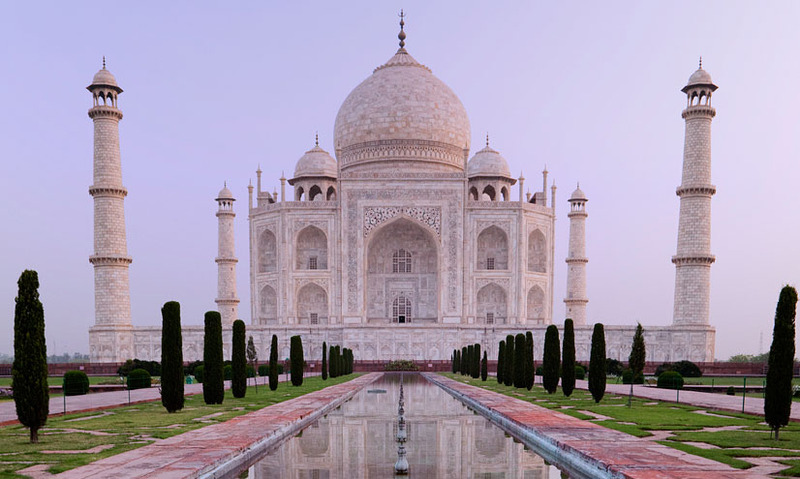 The architects of the Taj Mahal created only one mirror line in the front elevation of the building itself, but by adding a pool, they created a second reflection. 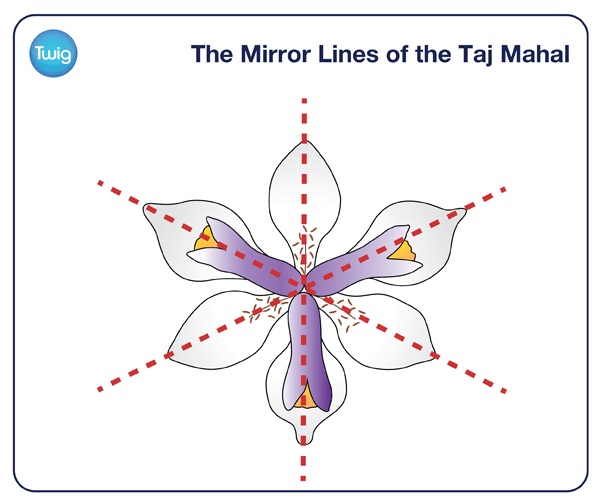 This innovative use of mirror lines makes the Taj Mahal perhaps the most beautiful building in India, and one of the seven wonders of the modern world.